Hey ladies, I hope everyone had a fun Halloween! I spent Halloween day at Rochester's first social media conference called Upstate Social Sessions. Although some might think that spending hours sitting down and listening to a bunch of speakers would be boring, it was actually enjoyable! I did tons of networking, was live-tweeting for 2 accounts (see what I had to say on Twitter @Ruya_Kirac), and came home inspired from the great advice. Us bloggers and social media lovers, always go through the stigma that society has which is "why blog? what's the point? Social media isn't a real career". Especially in a place like Rochester where social media isn't a big deal yet, it was refreshing and inspiring to be in a room filled with people that don't believe in that stigma and actually tak me seriously. I haven't felt this inspired since my last conference which was HerCampus.com's Her Conference. Since there was tons of professionals at the event, I decided to dress more business-like but with a little bit of fashion thrown into it. 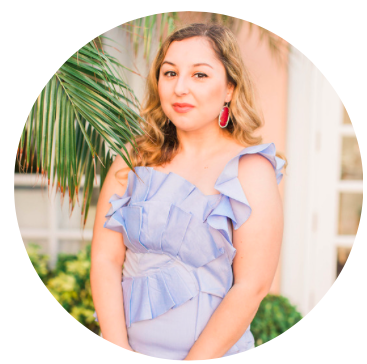 When it comes to business clothes, I prefer solid colors and keeping it simple with a white button down and a black skirt. Of course, I don't recommend wearing a leather skirt to a job interview anytime soon but for an event like this, it worked. Plus the lights were dim majority of the time haha. I completed the look with my trusty pastel pink trench coat (cause nothing says business like pink) and a white bag since oddly enough, I don't own a black bag. I've never found one that I liked enough, any recommendations? Cute look! 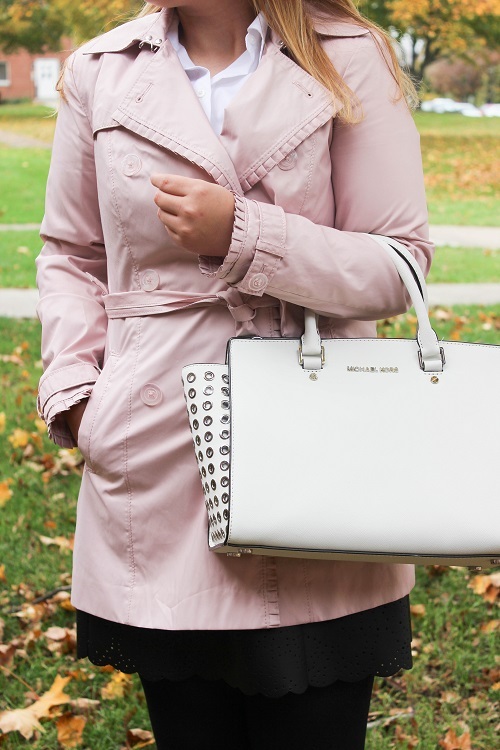 Loving the pink trench!